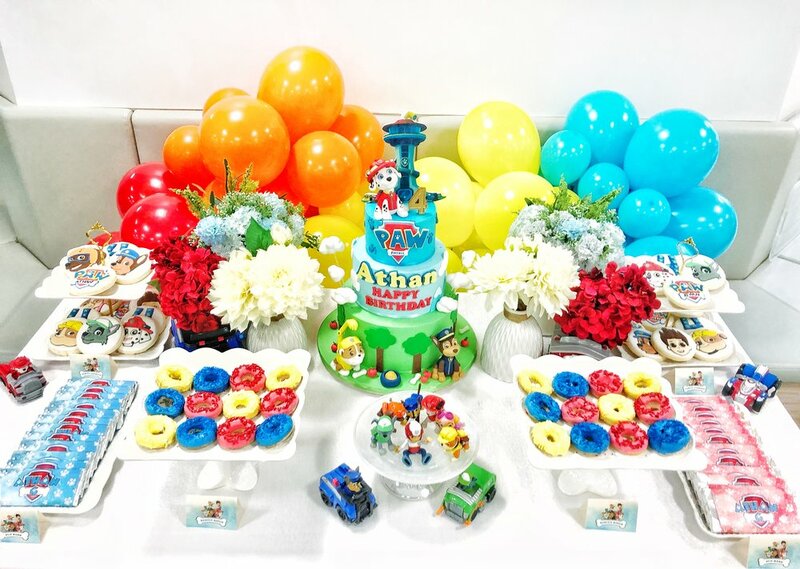 Athan’s Paw Patrol party had all these fun, bright colors that we wanted to anchor it down on something simple and subtle. 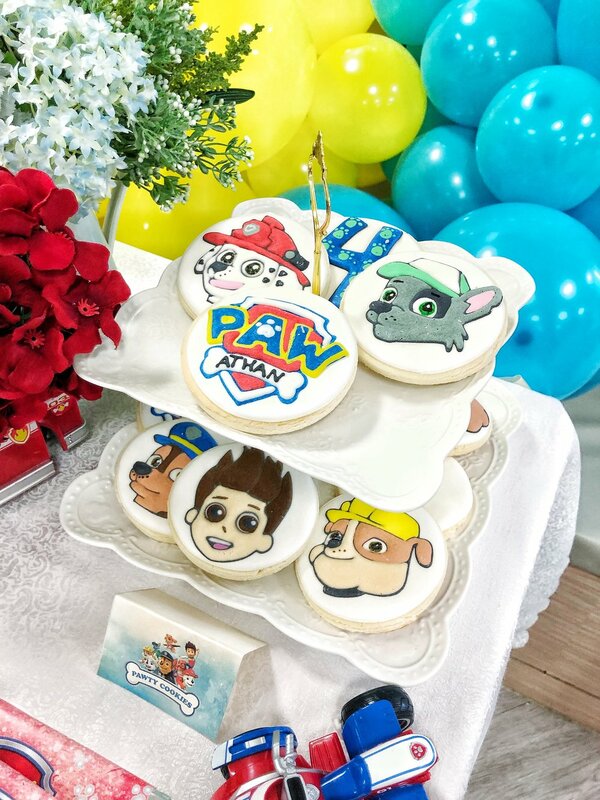 We intentionally designed the backdrop to be lighter and to have only one focal point, the custom badge, to perfectly complement our table. 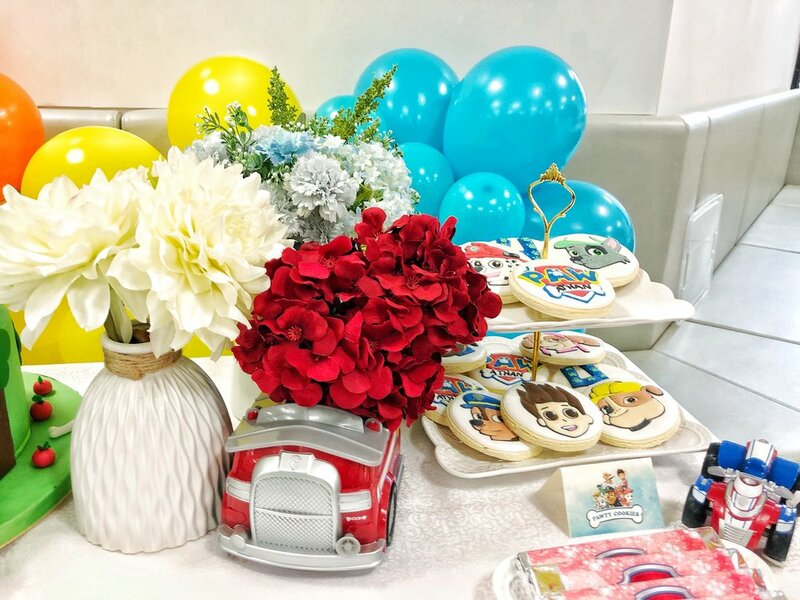 The dessert table had key Paw Patrol accents such as vehicles (used as vases for our florals) and characters amidst white servingware to tone everything down. 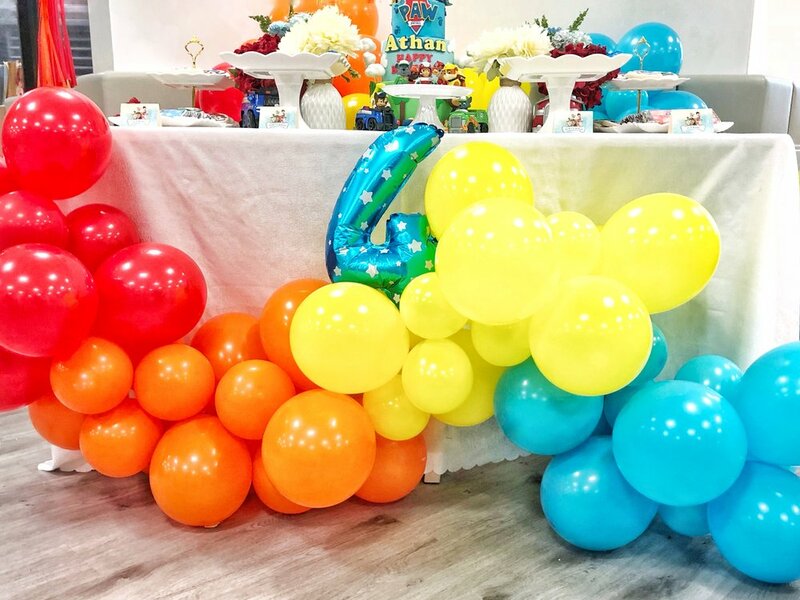 We used rainbow balloon garlands and bouquets to make this table extra special. 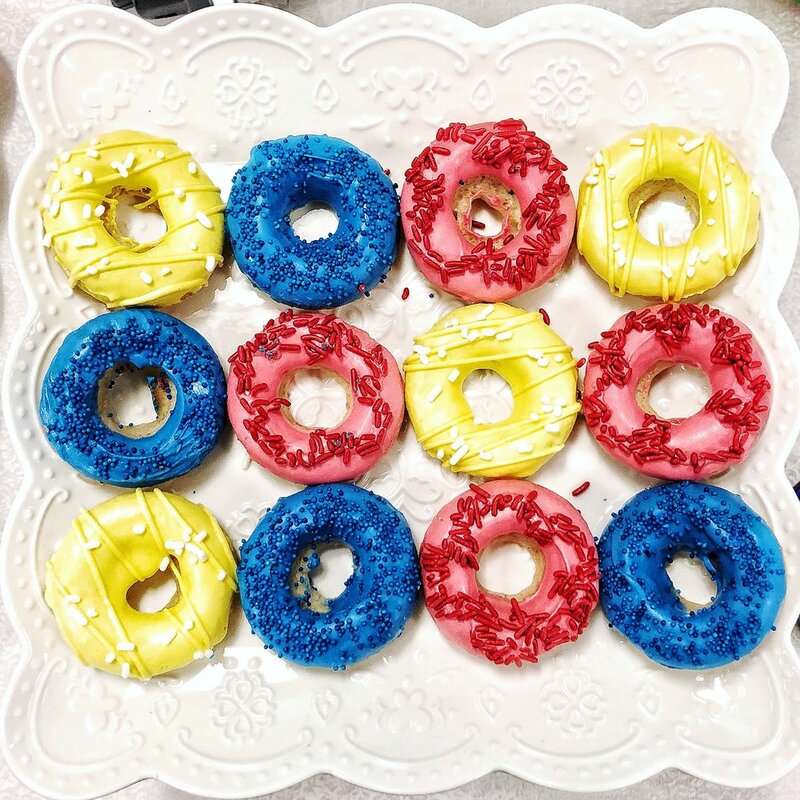 Desserts were rainbow mini donuts, custom wrapped chocolate bars, and character cookies - all of which looked so gorgeous on the table!